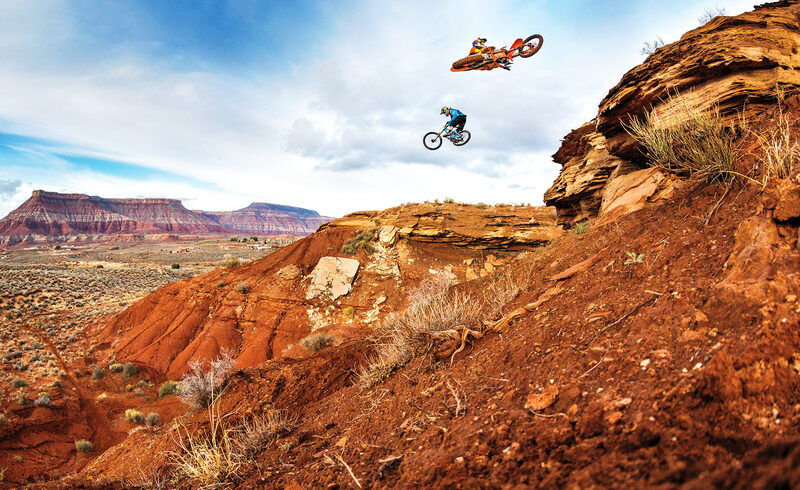 Cam McCaul & Ronnie Renner. TW Motocross Magazine, March 2014 cover. Red Bull Rampage site. Virgin, Utah.